A quick, hassle-free way to stay on top of robotics news, our robotics digest is released on the first Monday of every month. Sign up to get it in your inbox. April was a big month for robotics in the US as those working in the field hosted the seventh annual National Robotics Week, with numerous robotics activities, talks and workshops for anyone with an interest in robotics. The aim of Robotics Week is to engage and inspire people at a time when the field is moving forward so quickly that many struggle to keep up. For kids in particular the different activities offer a rare insight into what robotics is all about – and how much fun it can be. Events took place across the country and one group in California, Robot Garden, stood out as the group that hosted the most activities, ranging from a Lego Robotics Club to a robot swap event. And don’t worry if you missed it – Robot Garden hosts events all year round, just check out their website. In many countries 1 April is known as April Fools’ Day – a day you get creative and think of ways to fool those around you with made-up stories and practical jokes. 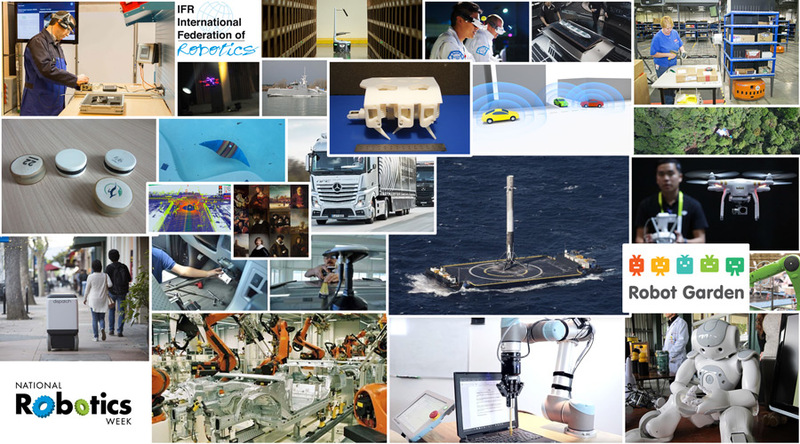 The robotics community joined in the fun once again this year with a number of crazy ideas, including: robotic note takers, remote pizza slicers, and levitating speakers. Robohub summarised some of the best robotics-related April Fools’ Day jokes here. And don’t worry if you fell prey to any of those jokes – with the astonishing advances being made in robotics every day, it can be difficult to distinguish fact from fiction. People may think the idea of multi-purpose robotic arms or cells – much discussed in industry circles – is still more fiction than fact. But in Belgium a collective centre for technology industry called Sirris is now showcasing what industry 4.0 could look like. Dutch-German partnership, SInBot, have developed an operating system that will allow low cost, small-scale production with industrial robots. 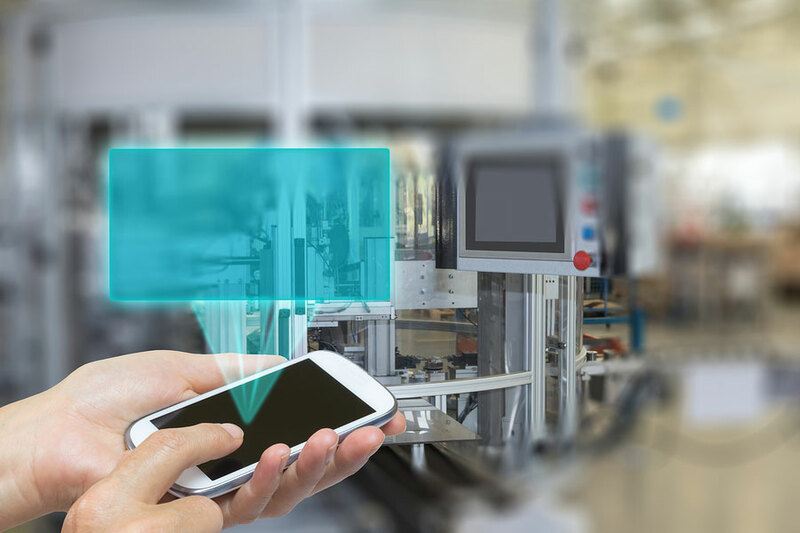 Smart factories are certainly not just fiction any more! No wonder then that the International Federation for Robotics reported that industrial robot sales were higher than ever in 2015. Dmitry Grishin at the Skolkovo Robotics conference in Russia. 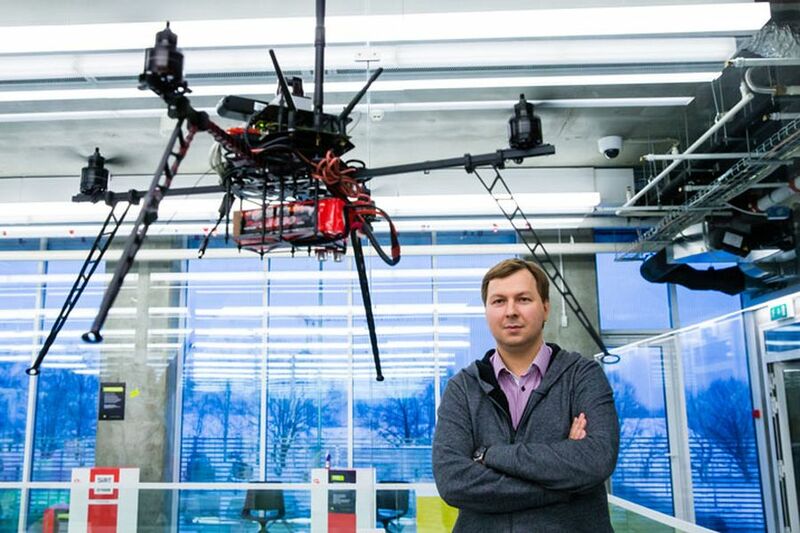 Competition is heating up for venture capital with Grishin Robotics announcing a new $100 million fund open to hardware and software companies to support the Hardware Revolution, expanding their geographical focus to include Europe. Meanwhile San Francisco based startup Dispatch secured $2 million to build a fleet of autonomous delivery vehicles. But it’s not just venture capital investments that fuel the interest and excitement in new technologies – acquisitions and mergers can have a similar effect. GM’s acquisition of Cruise Automation has led to a renewed interest in kits for self-driving cars – essentially kits that allow conversion of normal cars into (more) autonomous ones. And Amazon’s acquisition of Kiva in 2012 left a void that paved the way for several smaller companies to develop novel warehouse robotic systems, many of which were showcased this April at MODEX 2016. While researchers and industry are excited about new applications for robotics, lawmakers are thinking about how these applications should be regulated. 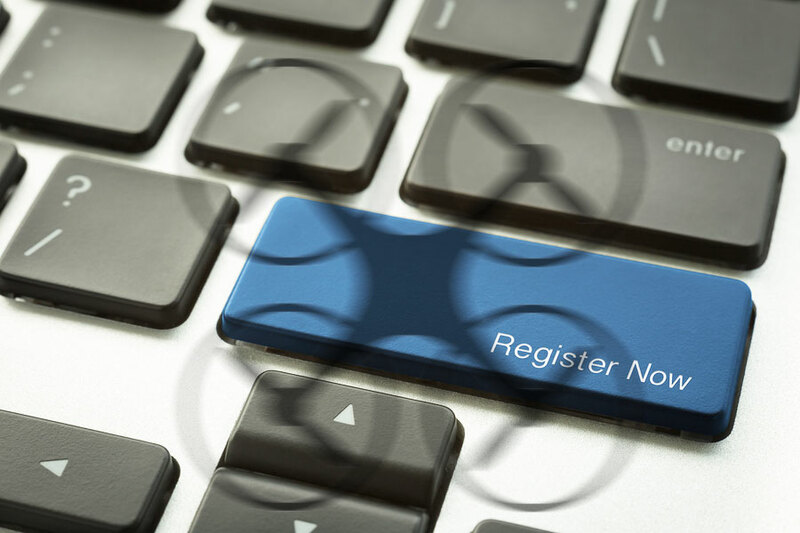 The best example for this is the regulation of drones, a hot topic for many months (or possibly years) and has been making headlines once again in April. This is because the Federal Aviation Administration (FAA), responsible for the regulation of drones at a national level, has to be (re-)authorized every few years – a process happening right now. Two of the major bills being debated by US Congress in relation to FAA authorization are focused on drones that could have a profound effect on the future of the US drone industry. Some are worried that the wording in the bills could curtail local drone laws and law enforcement in relation to drones, something lawmakers are seeking to change before the bill is passed. While Congress continues to deliberate, drones are still being used around the globe for a variety of tasks. It has only been five years since the devastating earthquake off the east coast of Japan that caused a tsunami and massive destruction March 2011, and on 16 April 2016 the earth in Kumamoto and Ōita Prefectures shook again. Soon after it happened, drones were used to assess the aftermath of this quake, helping to map the destruction and devastation caused. 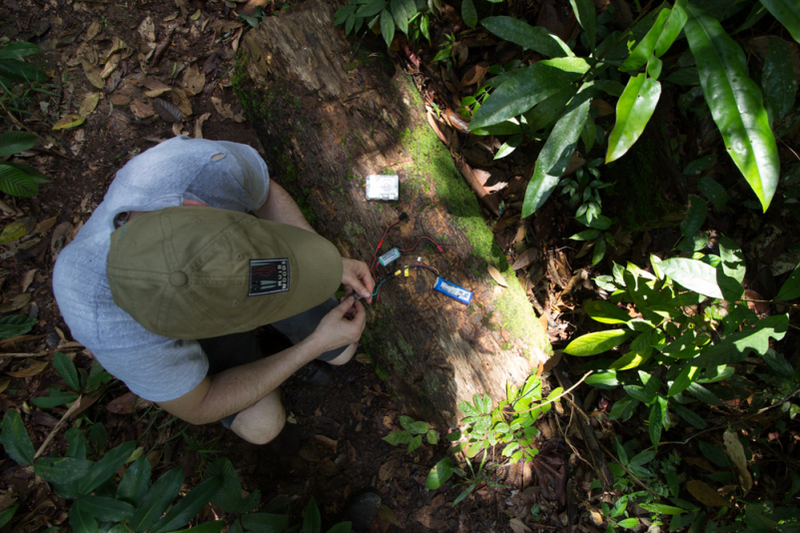 And mapping the impact of natural disasters is not the only way in which drones may monitor environments – they’ve also been used in bio-conservation to help monitor wildlife, as is the case in the Bornean jungle where Dirk Gorissen is tracking orangutans with python and react.js. 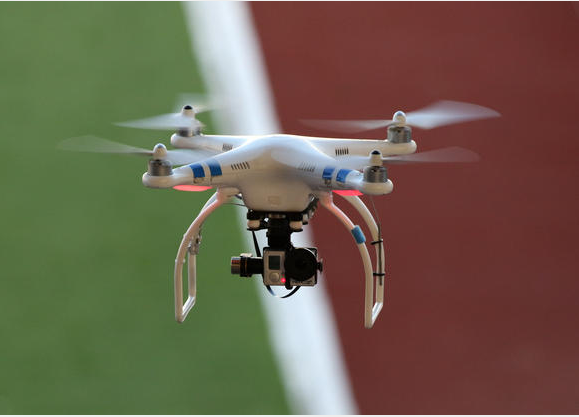 With the popularity of drones ever increasing, it’s no wonder that racing drones against one another is a new ‘sport’ that’s moving from backyards, fields, and abandoned buildings to mainstream media – more precisely to ESPN. This upcoming August, ESPN will broadcast the US National Drone Racing Championships online. And who knows – drone racing may soon be on our TV’s soon enough. But robots are not just conquering the air(waves) – they’re also taking to the seas. This month DARPA celebrated the naming of their remote controlled submarine hunting vessel, Sea Hunter. The unmanned ship can track and follow submarines and may spell a new era for naval seafaring. But DARPA weren’t the only ones celebrating in April as SpaceX successfully landed their Falcon 9 rocket on their drone ship off the Florida coast for the first time. And where SpaceX’s drone ship leads, commercial shipping might soon follow – at least according to Oskar Levander, head of innovation for Rolls Royce’s marine unit, who is expecting commercial drone ships to sail the seas in the not too distant future. Robots are not just conquering the sea’s surface. 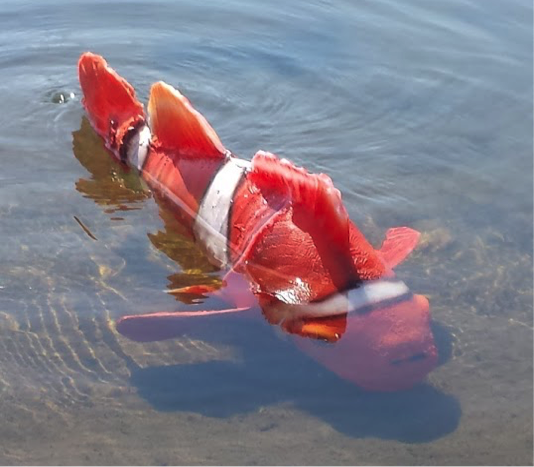 In an effort to support conservation for example, South African inventor Simeon Pieterkosky developed a bio-inspired robotic fish that can monitor water quality, clean up debris, and save fish from illegal fishing nets – fully immersible and mainly under water, of course. Unmanned vehicles at sea and on land are still somewhat of a rarity at the moment, so in a bid to speed up the introduction of autonomous truck platoons in Europe, Daimler let three of its autonomous trucks loose on German and Dutch roads as part of the European Truck Platooning Challenge. 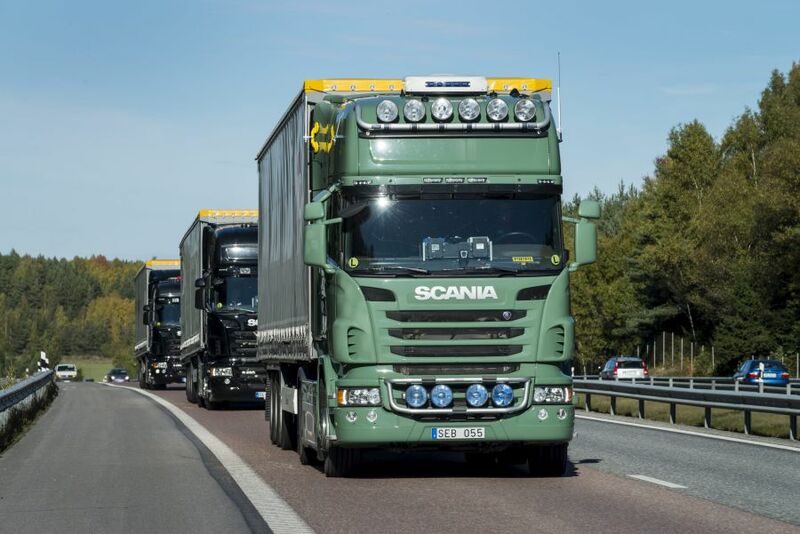 The trucks drove from Stuttgart to Rotterdam using the company’s Connected Highway Pilot system and reached their destination without incident on 7 April. While the successful completion of this challenge may have been great for Daimler, it’s likely that the appearance of fully autonomous cars on our roads are still years away. In the US, car manufacturers have asked the government to slow down the introduction of such vehicles, and there are practical challenges to consider, such as insurance covers and city infrastructure, as SPARC explained on Robohub. And finally: We’ve known for a while that the possibilities of 3D printing are seemingly endless – April astonished us once again with the limitless imagination using this technology. Researchers at MIT’s CSAIL have developed a way to print solid and liquid materials simultaneously, allowing them to produce dynamic robots in one step, abolishing the need for assembly and paving the way for rapid production of fully functional robots. Lastly, a team at the Smithsonian used a mixture of 3D printing, scanning, and AI to create a new Rembrandt-style painting. 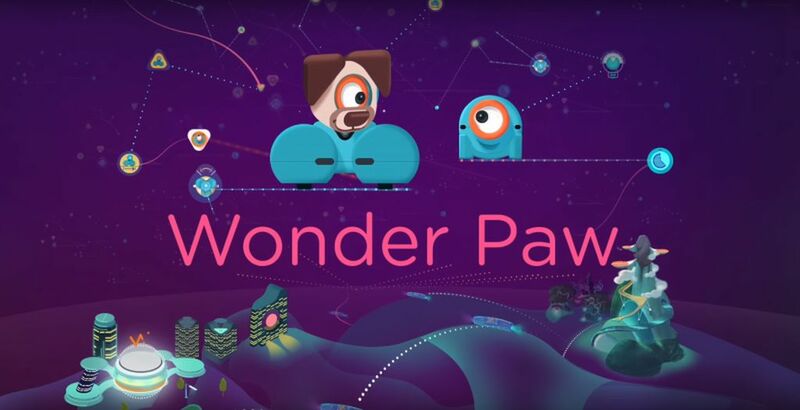 We can’t wait to see what this technology, and the people behind it, will create next! International Collaborative Robots Workshop (RIA ICRW 2016): 3-4 May, Hynes Convention Center in Boston, MA.